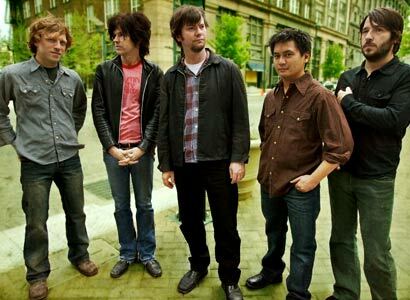 Son Volt Biography, Discography, Music News on 100 XR - The Net's #1 Rock Station!!! This Alternative-Rock group formed after the demise of alt-Country pioneers Uncle Tupelo, the band broke up in early 1994 due to a breakdown in communications between the two chief singers and songwriters, Jay Farrar and Jeff Tweedy; the latter recruited much of the band to form Wilco and Farrar, with brothers Dave Boquist on guitar+banjo, Jim Boquist on bass and former Uncle Tupelo drummer Mike Heidorn started Son Volt. The quartet issued its debut LP, "Trace", on Warner Bros in September 1995, the album broke into The Billboard 200 peaking at #166 and spawned the Mainstream Rock top 10 hit, "Drown". One and a half year later Son Volt released their sophomore set, "Straightaways", widely acclaimed by critics and fans alike, it debuted at #44 on The Billboard Top 200 Albums chart, but this album failed to produce Mainstream Top 40 material. October 1998 saw the release of the band's most album-Rock oriented CD, "Wide Swing Tremolo", the record barely squeezed into the top 100 of the U.S. Billboard 200 Sales list and eventually Warner Bros dropped the band from its roster. 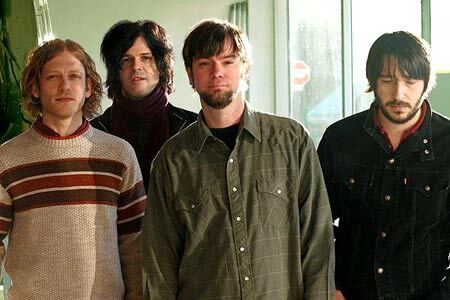 Jay Farrar cut his first proper solo album, in 2001, amidst widespread rumors of an impending band breakup; though the group's main man denied this. On "Sebastopol" and 2003's "Terroir Blues", Farrar tinkered with song structures and off-beat tunings and experimented with instruments and tape loops. In late 2004, when the first incarnation of the band chose not to regroup again after recording a song for a benefit compilation a new team coalesced rather quickly round the Son Volt banner; Farrar then reformed the band with guitarist Brad Rice, bassist Andrew Duplantis and drummer Dave Bryson. In June 2005, they released an exclusive 6-track EP titled "Afterglow 61" which featured unreleased live songs including "Joe Citizen Blues". The Son Volt's first album in seven years, "Okemah And The Melody Of Riot", followed a month later; it reached #89 on The Billboard 200 chart. "The Search", the intriguing next record from Son Volt, was released in March 2007 on Transmit Sound/Legacy and it's by far the band's most daring and diverse album yet, most noticeably the addition of Derry DeBorja on keyboards, whose washes of organ and piano added new colors to the band's palate. The disc, which included the single "The Picture", reached #81 on The Billboard Top 200 Albums chart.